For many of you, baking can be quite overwhelming at first. A lot of beginners will burn a few (or a lot) of cookies, flatten some cakes or over bake brownies. 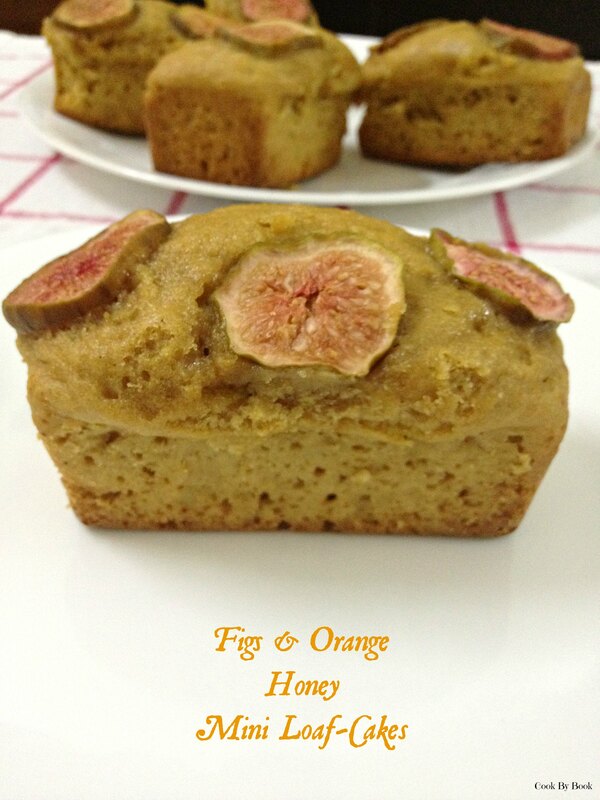 So when Elson asked me if I could do a post on baking basics, I was anxious (this kind of post is my first attempt!) and excited!! 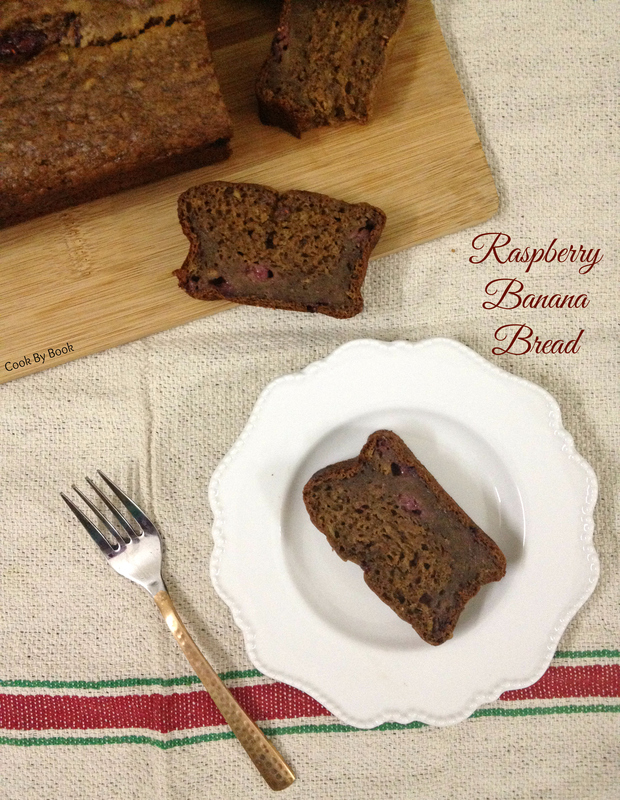 I am reproducing that guest post ~ ‘Baking 101’ and the recipe of Raspberry Banana Bread for my readers here but hop onto The Tummy Tale blog for some good reading. 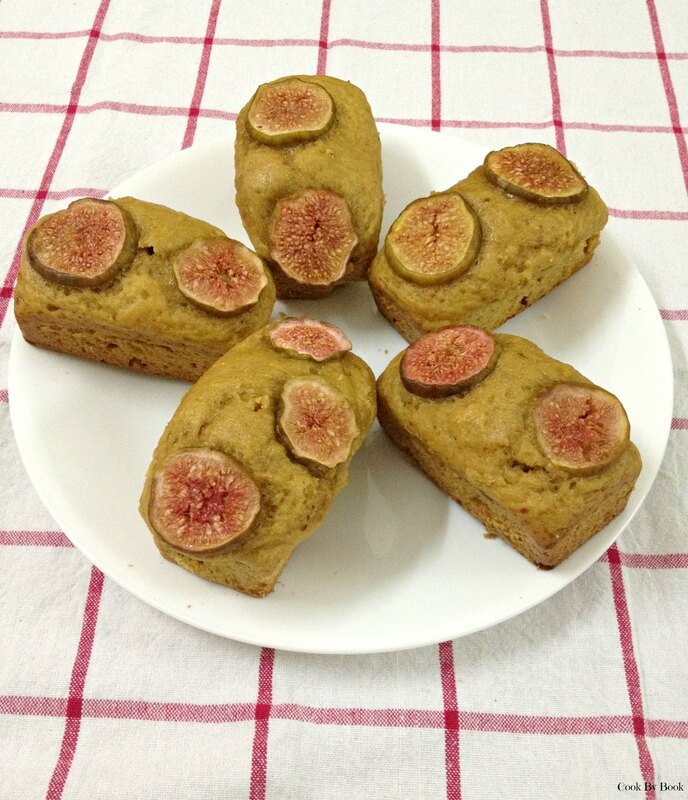 While you’re at it, don’t forget to check out Elson’s fabulous recipes. Elson believes in using simple ingredients to create special dishes and his forte is Mangalorean cuisine. Also, do check out his ‘The world on my plate‘ series. If you spend enough time in the kitchen baking, you quickly begin to pick up the dos and don’ts. I am far from a professional pastry chef or even an expert baker but with these tips and tricks, I’m hoping to make baking an easier, more enjoyable experience for you all. So, here it is – baker’s dozen tips & tricks! Take your time and read the recipe thoroughly from beginning to end before you start. Many baking failures come from not reading and understanding the recipe, not from poor recipes! Remember, cookbook authors and bloggers REALLY want to help you bake masterpieces. They know and understand the limitations of home kitchens. So have faith in the recipe and read the notes. Get your mise en place started. Measure out all the ingredients mentioned in the recipe to exact amounts first before you proceed further. There is nothing worse than reaching halfway and realizing you’re out of an important ingredient. Prepping is very very important. Unless otherwise stated, use room temperature ingredients. If something is meant to be used cold then a recipe should state that, otherwise make sure your eggs, butter, yogurt etc. are at room temperature. Buy salted butter for your toast but unsalted butter is what you need for all the baking you plan on doing. You want to control the amount of salt going in your baked goods. So unsalted is a way to go! Always preheat the oven. This might sound amusing to some of you but this step is of utmost importance. Preparing baking pan – Grease and/or line your baking tin. Use paper liners for muffin tins (unless stated otherwise). Always grease a Bundt pan with butter and dust the insides with flour. Do not grease the cookie sheet unless the recipe states you should; just line it with parchment paper. It is always better to sift the dry ingredients to avoid lumps. This step will ensure that baking powder, baking soda or salt are equally dispersed among flour. Also, measure the flour after it’s been fluffed up a bit with the help of a fork. Lightly spoon it into the measuring cup and level it off (weighing flour is of course more accurate but I’m more accustomed to cup-method). Use baking powder and baking soda no more than 5-6 months old. Dud ingredients will make your recipe dud. Also, baking powder and baking soda are different ingredients and not interchangeable! So pay attention. They serve the same purpose but do not react the same way in baked goods. Read here for more info. When baking cakes, cupcakes and cookies, take your time creaming the butter. Beat/cream for at least 3-5 minutes (preferably with the electric mixer’s paddle attachment) to aerate the butter. Check if the recipe calls for any herb or fruit zest. If so then rub the herb/fruit zest into the sugar which will release the essential oils and then add this sugar to butter and beat/cream really well again. A trick I have learnt recently from Joy The Baker is beating the spices along with the butter and sugar to enhance the flavor much more. When mixing the batter, gently fold the liquid ingredients into the dry ingredients – you don’t want to lose all the air. Over-mixing will especially ruin your muffins and make them tough and rubbery. Keep in mind that all ovens are different. Do not rely on the time in the recipe to work for your oven. It is usually provided by a time range which is just an estimate for you. Set your timer for several minutes before it says it will be done just to make sure you don’t overcook. Check the doneness by inserting toothpick in the center of the baked goods. Trust the process and trust yourself. Make it your own! Just because baking is all about science doesn’t mean you can’t get creative with the ingredients that only affect the flavor. Change up the extracts, spices, and other add-ins that only affect the flavor of the baked goods to make it your own. Have fun in the kitchen and it will all turn out amazing! This recipe is a no fuss, too easy even for beginners sort. So after reading the tips and tricks mentioned above, get your baking mojo on and try this basic, classic banana bread made a tad bit healthier. Vegetarians and vegans are going to be much much happy. This recipe is eggfree and oil/butterfree. Yes! Can you believe?!! For sweetness, I have used date syrup in part which lends a beautiful depth of flavor to the bread. The other part comprises of brown sugar. Brown sugar + banana = a match made in heaven! Brown sugar gives a caramelized flavor but you can make the bread refined sugar-free too by using coconut sugar in place of the brown sugar. It would be wonderful too! The bread is light, airy and moist (in a good way). Yes! Not a crumb in sight, my friends. Perfect for toasting and if you’re not skinny-minny types then slathering it with some butter. If you are not into healthy baking then feel free to use all-purpose flour completely. Don’t have date syrup? Use liquid jaggery or maple syrup or honey. All works brilliantly. Don’t have raspberries? Use strawberries or may be toasted walnuts or chocolate chips! Change the ingredients as per your convenience and make the recipe yours. Add a dash of cinnamon if you like. Just have fun! So brew yourself a cup of coffee, preheat the oven and get baking. Your quest for that perfect banana bread ends here. 1. Preheat the oven at 170°C/350°F. 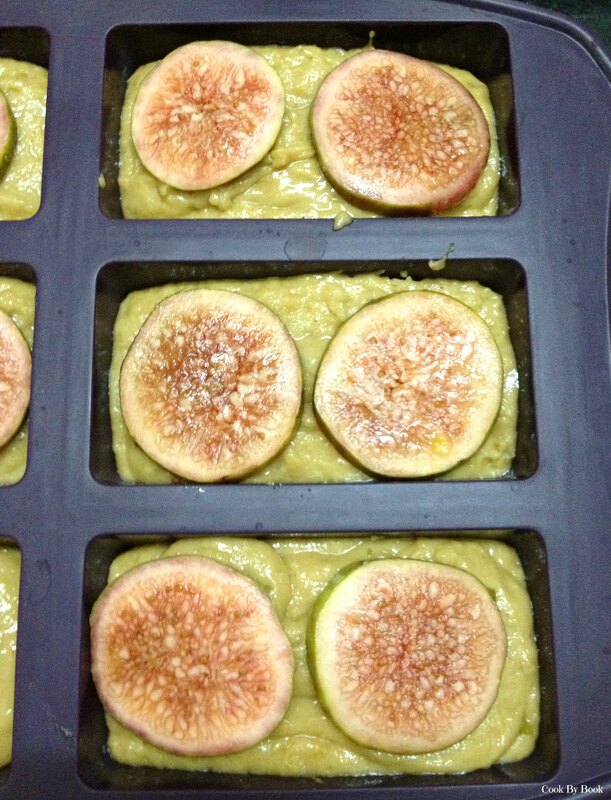 Grease the 8×4-inch loaf pan with oil and set aside. 2. In a large mixing bowl, whisk together whole wheat flour, all-purpose flour, baking soda and salt. Set aside. 3. In a separate bowl, whisk together yogurt, date syrup and brown sugar until completely incorporated. Whisk in banana purée and vanilla extract. 4. Make a well in the center of dry ingredients and slowly stir in wet ingredients to dry ingredients. Stir until no flour pockets remain. Do not over-mix. Fold in chopped raspberries. 5. Pour the batter in your prepared loaf pan and bake for 60 minutes or until a toothpick inserted in the center comes out clean or with few moist crumbs. Let the bread rest in the loaf pan for about 10 minutes before inverting it on a cooling rack. Let cool completely before slicing. Serve warm as is or slathered with butter. You may toast the slices too. Store the bread in an airtight container up to 1 week in refrigerator. It freezes well for up to 3 months. *For a more classic twist, substitute raspberries with toasted walnuts. For chocolate lovers, I would suggest replacing raspberries with dark chocolate chips. I’ve tried and it is dee-vine! 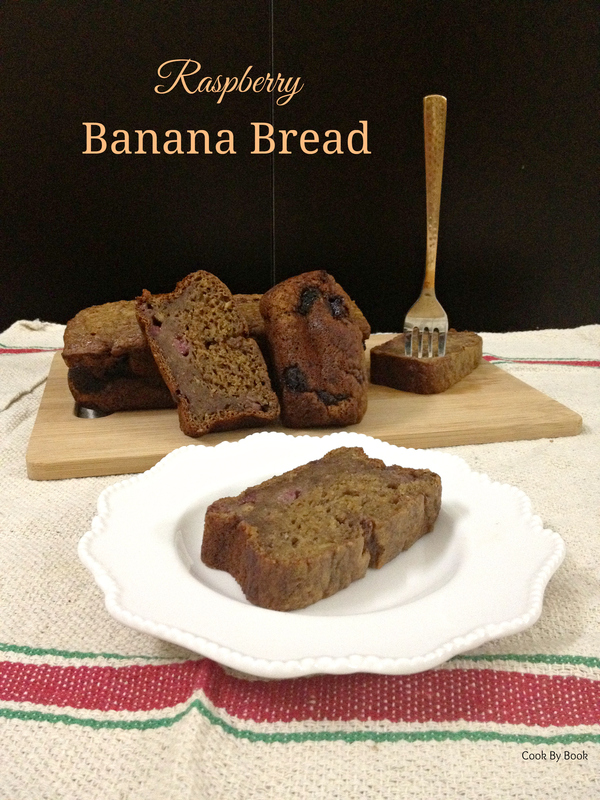 Tomorrow is ‘Banana Bread Day’ and you might wanna bake one to celebrate! Its summer time and it always bring back the fond memories of my childhood. Thoughts of leisurely spent summer holidays, visits to my grandparents’ house, having fun with the cousins and eating lots n lots of MANGOES gets me nostalgic!!! We Indians pride ourselves on our mangoes. All the variations we get throughout the country, the most delish of ‘King of Fruits’ is Alphonso from Ratnagiri. (According to me, of course!) And in today’s recipe I have used premium quality Alphonso mangoes. If there is one thing I would never get tired of eating my whole life, it is MANGO!!! Not chocolate, cookies or ice-cream. Not Margarita pizza (loveee!! ), not Oreo Milkshake (obssessed!!! ), not Blueberry Cheesecake (I swear!!!!) or even Pasta. Nope, none of these things are even in same proximity as my questionably crazy love for mangoes. 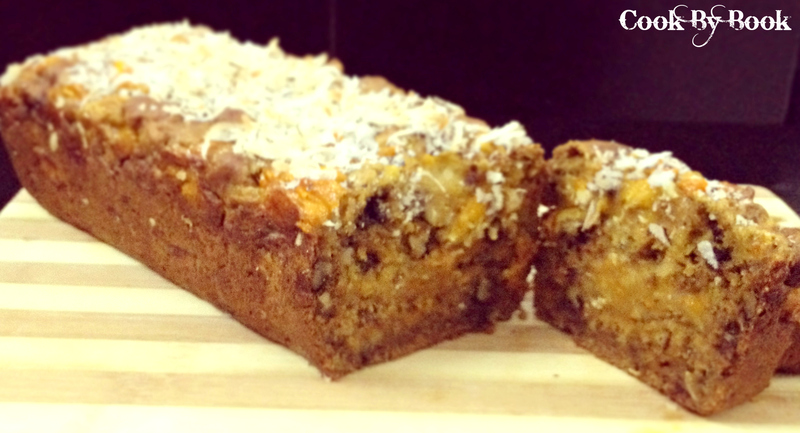 And when mangoes joined forces with some toasted coconut, over ripe bananas and walnuts… well, it’s safe to say that it will be a KILLER recipe! In addition to the fresh mangoes, I added super-creamy secret ingredient: Low-fat Mango Yogurt! The thick, luscious yogurt gives the bread an unbelievably soft texture. So much that each bite practically melts in your mouth. 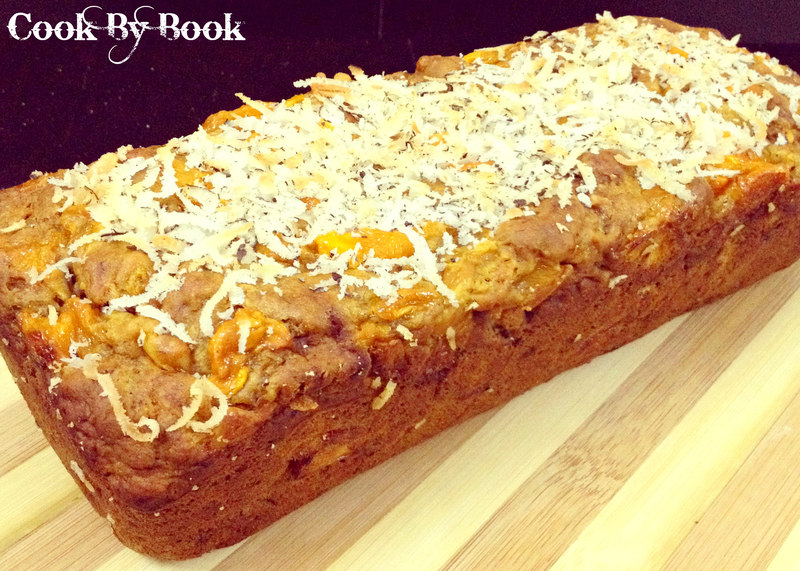 This bread has THRICE the mango flavor from fresh mangoes, mango yogurt AND fresh mango puree. Yes! To omit the eggs from the bread I decided to use mango puree and made it even more MANGOLICIOUS!!! Cut the slices nice and thick and gobble it up!!! So what are you waiting for? This recipe is a MANGO BONANZA!!! Preheat your oven right away!!! 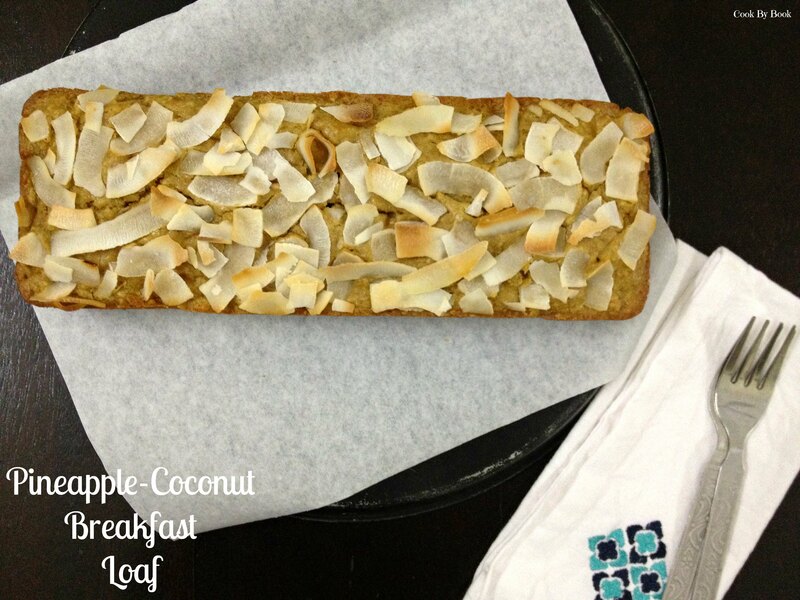 *Be sure to read the recipe entirely before making, coconut is added mid-baking – not when you first put the loaf in the oven. Preheat oven to 350F/180C. Grease 9×5-inch loaf pan with oil. In a medium bowl, whisk together the flour, cinnamon, baking soda and salt. Set aside. In a separate large bowl, beat the sugar and butter with stand or handheld mixer on medium speed until well-blended – about a minute. Add the mango puree, mashed bananas, yogurt, and vanilla. Continue beating until blended. Slowly stir in the flour mixture by hand, until ‘just combined’ – do not overmix. Fold in walnuts and then gently stir in the chopped mangoes. You may sprinkle a few mango pieces and walnuts on top for looks as well. The batter will be very thick, so spoon it into prepared pan rather than pouring it. Bake for 30 minutes. Remove and sprinkle with shredded coconut. Bake for 25-30 minutes longer or until wooden toothpick inserted in center comes out clean. My bread took exactly 60 minutes. Cool 15 minutes in the pan on a wire rack. Remove from pan and cool completely on the wire rack.